NOVATONES puts aside a rehearsal night whenever there are 5 Thursdays in a month, to do what can only be described as a pub crawl, down the main street of a Newcastle shopping precinct, Hamilton. We take a bucket, and harangue the patrons for their loose change, which goes towards the chorus’ expenses, but a proportion goes to Newcastle Ronald McDonald House – we have donated over $10,000 in the past 7 years or so. After the latest venture, one of our very new members submitted his thoughts to us, and I thought it might be worth repeating for all the other choruses. I am sure the sentiments he shows are the same as you would find in your own chorus. 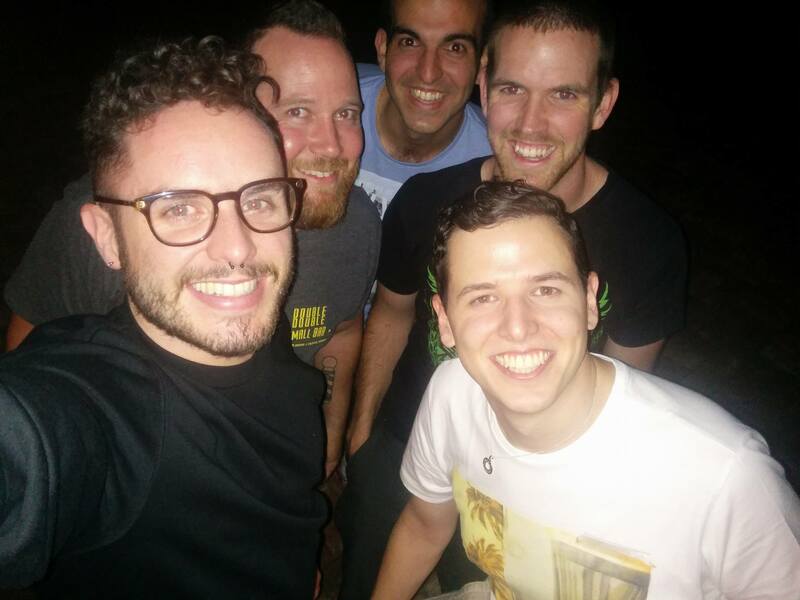 “I enjoyed my first 'Pub Crawl' with the NOVATONES Barbershop Harmony Chorus last night. We started at the Wickham Park Hotel Islington, where we gathered, warmed up and then then sang some old numbers for the patrons there, before walking as a group down the main street of Hamilton. We were well received and the crowds were generous in both donations and applause. Most popular songs that we did were “It was only a Paper Moon”, “Barbara Ann”, and “Happy Birthday” to a few who were out celebrating a birthday. We raised over $600 for our efforts, and we managed to score the odd free beer! May it long continue. It’s official. We’re moving out of our rented home after about four years or so and relocating to the other side of town to the Toowoomba Philharmonic Society’s headquarters. We have enjoyed our time at the Choral Society but, the new venue offers a bigger, kinder rehearsal venue, four good break-out rooms and enhanced storage for all the stuff that a chorus seems to accumulate without even trying. This Anzac Day an ensemble from HAH will be leading the singing at the Toowoomba Dawn Service. Last year saw a crowd of at least 10,000 citizens attending, and it is anticipated that 2016 will be nearly as large. Rehearsals are going well and we will be joining the local Harlaxton RSL Brass Band next week to put the finishing touches on the repertoire. 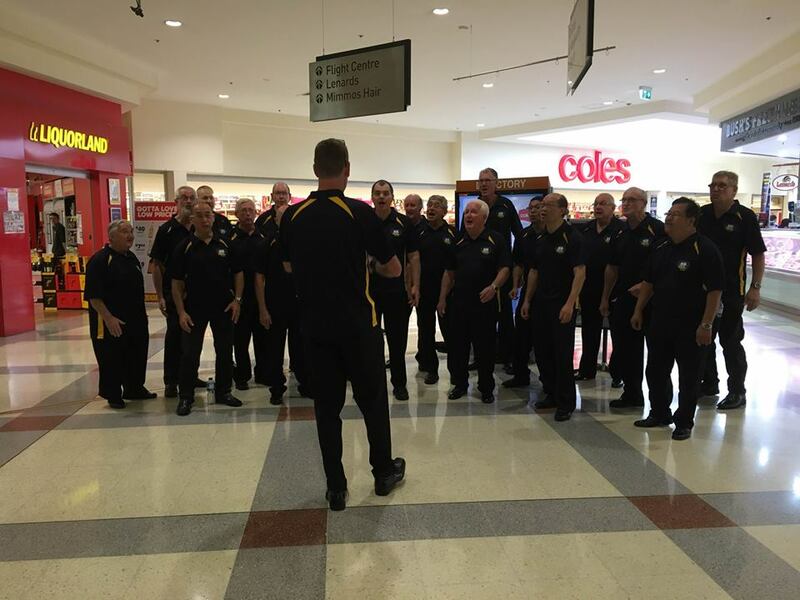 Our much smaller chorus than usual (due to life commitments, etc) is busy rehearsing for Sunshine Regionals to be held on the Gold Coast over the Anzac Day weekend, plus we are working on a lot of new material. We will be singing at the Cathedral Centre for Mothers Day. A gig we are really looking forward to. Plus, planning is well in hand for our Singing Restaurant in October. Keep an eye on our web-site for details soon. It feels like it hasn’t been that long since the start of the year and yet so much has happened for the Festival Statesmen. 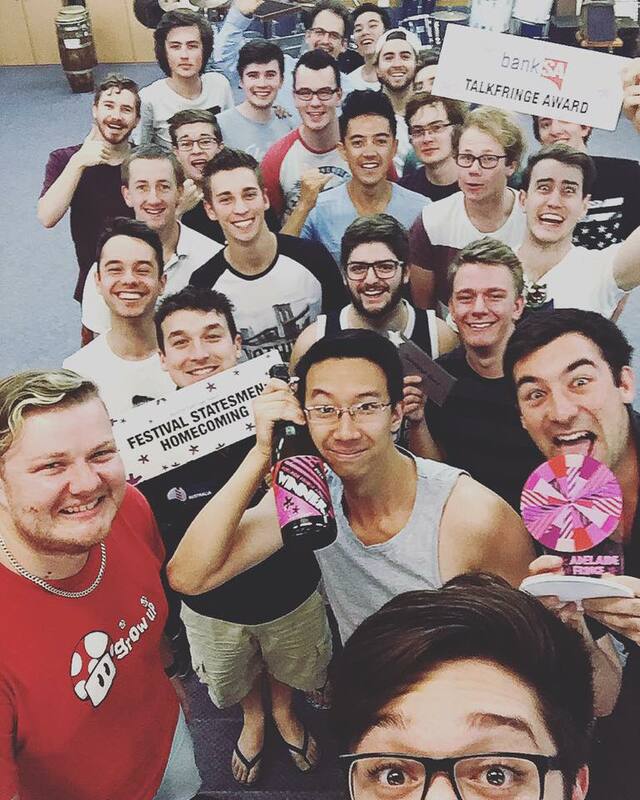 As we flagged in the December/January issue of In Harmony the first quarter of the year was mostly taken up with our very first show in the Adelaide Fringe Festival. We’re incredibly happy to report that Festival Statesmen-Homecoming was a massive success and was more than we had ever hoped for. Half of our eight show run was a sell-out and we won a prestigious Fringe Award for being the audience favourite in a festival with more than 1200 acts! Many go their entire Fringe careers without seeing one so to win one in our first year in the festival was a huge honour. This was especially meaningful for us considering how much of Homecoming was sourced from the talent pool of our members. Homecoming included two original compositions from chorus members, an original script by Mitre Khammash, and five arrangements sourced from within the chorus, so to have it recognised like this is incredibly meaningful. Not content with resting on our laurels though, we’ve launched right into our next project. Given the success of Homecoming and the number of new arrangements included we’re excited to announce we’re back in the studio recording our second album! At the moment we have plans to include our album launch in the Umbrella: Winter City Sounds festival in a few months, so keep an eye out for more news on that. With Central Region competitions just around the corner, a video clip for our single Get Back to be filmed very soon, and Newcastle looming on the horizon, this is looking to be one of our most jam-packed years yet, but we can’t wait to see what it brings. We have settled in to the challenges of 2016 with enthusiasm and purpose under the guidance of our new MD Peter Donald. We have increased our membership and our weekly rehearsals are eagerly anticipated as a joyful event. So far this year we have provided entertainment for an anniversary at a retirement village and staged a concert in a local Shopping Centre for Seniors Week. We also recently held our annual Bunning’s Fund-raising Sausage Sizzle which is always a fun day and a great recruitment opportunity. We have set an objective to perform at least 10 singouts this year, not including Christmas, and so far, with a number of invitations received recently, we believe this goal will be easily achieved. We are now putting all our efforts into doing the best we can at the Eastern Region qualifying contest on the 7th May (including choreography for 60 year olds! ), to assess our strengths and weaknesses for the main event in Newcastle in October. 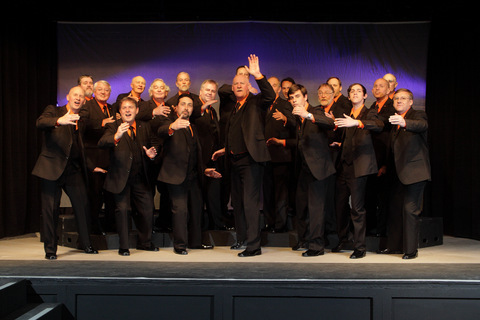 Do you love the sound of vocal harmony? 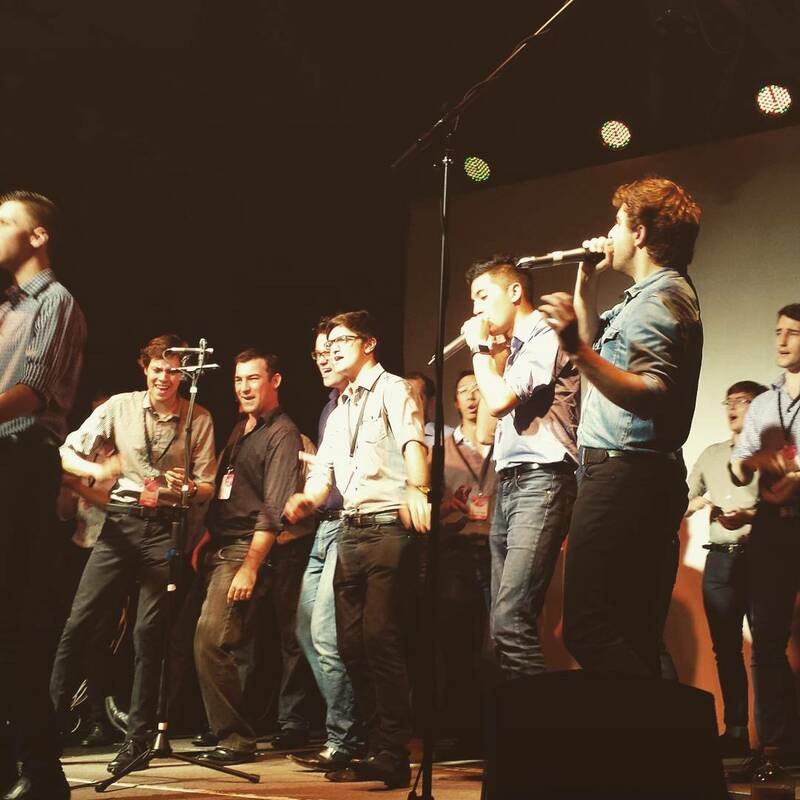 Do you love a cappella music? This was the catch phrase for our recent rather successful membership drive and is now front and centre on our web site. In previous years we had pitched it as a “Learn to Sing Barbershop” programme. The problem with this is that it potentially discouraged people who were already able to sing and also meant we had some people show up who had no singing experience so hit a steep learning curve with basic singing techniques. As a result we missed out on picking up some more experienced singers and had to disappoint some keen but unskilled singers. From twelve new faces that showed up for our "Sing In Harmony!" programme, we have so far welcomed four new members who successfully passed audition with a couple more in progress at the time of writing this. This is a great result compared to previous programmes and can be attributed to a number of changes we made to how we advertised and ran the programme this year. First of all, we didn’t mention barbershop! The rationale for this was that we didn’t want an inaccurate understanding of what barbershop singing is to put people off before they even had a chance to hear us sing. Secondly, we had a guitar at the rehearsals and sang non barbershop a cappella! This allowed us to ease new members into the pleasure of singing in harmony without the added rigour of ringing barbershop chords from the outset. The focus was on fun, fun, fun and new and old members had a great time with outbursts of hilarity as we kept it light and lively. We’ll be bringing some of our new members to ER and look forward to seeing all of you there! 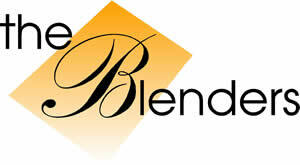 The Blenders are looking forward to hosting the Sunshine Region competition on the 23rd April. Planning has been under way for some time now to make sure everyone has a fantastic day regardless of whether they are singing or are there to support their chorus. We are looking forward to a great weekend of singing and comradery with all our barbershop friends, families and their friends. 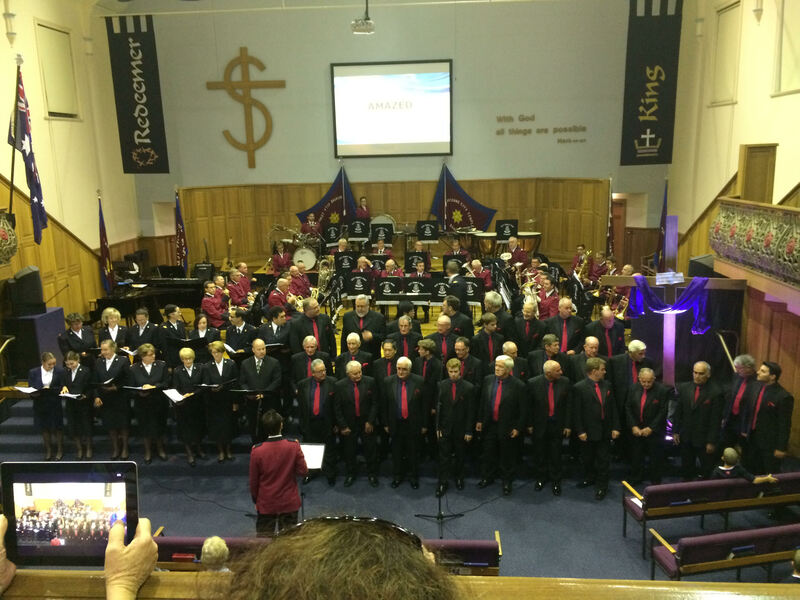 The Blenders were asked to perform with the Brisbane City Salvation Army Band at their Brisbane City Temple on Easter Saturday. The MD of the band is none other than Tim Green (aka – Bass from Blindside). Tim set us the task of learning 3 songs in quick time to perform with the band. I am pleased to say that we rose to the task and enjoyed a large and very receptive audience. The highlight of the afternoon was, I believe, Sinner Saved by Grace, performed by The Blenders and backed by the amazing brass band. It involved solo and quartet performances with the chorus providing the support for the main choruses. It was spine tingling stuff. You know what I mean. We all experience it in barbershop. Upcoming events for The Blenders include Voices in Paradise, which seems to get bigger and better every year. Registrations are rolling in so it should be a fantastic day for all involved. The day concludes with an evening concert where all the participants will get to strut their newly acquired skills to a very enthusiastic audience. Anyone interested can log onto the VIP website for information and registration. One of the highlights of the year for The Blenders is the ANZAC Day Dawn Service at Tweed Heads. It is a very moving and emotional service for all of us and always helps us keep our feet on the ground when we remember the sacrifices made by so many all those years ago. Apart from being a very hard working President, John Howell, has a somewhat glittering musical background, hence we are highlighting that career this month. It seems that John did not take immediate advantage of his family background until much later. With a grandfather being a music teacher and the choir master / organist at Napier cathedral, an opera singing aunt, and both parents capable singers and musicians, he should have been a shoe-in for barbershop harmony. It wasn’t until much later, however, when he was in his early forties, that John was coerced into attending an Auckland City of Sails Chorus rehearsal in 1994. After that first ear-opening experience on the risers, he hasn’t missed many chorus rehearsals since. John became COSC VP Membership and subsequently President until 2005, during which year the chorus represented NZ for the first time in an International SPEBSQSA (now BHS) competition in Salt Lake City. It came a creditable 22nd under the inspirational musical direction of Jill Rogers. That same year, (how he managed to find the time we’ll never know), John married his Sweet Adeline Sharon, a match he says, made in barbershop heaven. As well as being Music Coach with the Sweet Adelines Melbourne Chorus, Sharon sings baritone with the Harmony Capers quartet, and John sings bass with the quartet Boardwalk. The tradition continues with youngest daughter Leanne, a professional singer in London. 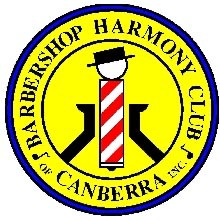 John joined the Melbournaires in 2007 and as President, was a major mover in its hosting the 2015 Melbourne convention for which he was awarded Barbershopper of the Year. He has become a real asset to the chorus, and although his loyalty can be called into question whenever our two nations confront each other in the sporting arena, we hope this likable kiwi stays around for many years to come. From the outside it may seem that things have been a little quiet for us lately. We’ve been led to believe this since our lead’s mum sent a message to the quartet through our Facebook page asking what we’ve been up to, concerned we hadn’t been active on our social networking pipes. It is funny how even though you’re chugging along, learning new rep, getting coached, singing for marriage proposals in restaurants, but not posting on the socials, it can seem to everyone else that nothing is happening or maybe you’re not even a quartet anymore! But that is certainly not the case we can promise you! Lockout is busy working on some special stuff for when we see you all in Newcastle. It is the first of the BHA annual conventions and we’re in the unique position of being ineligible to compete, so we are taking full advantage of this opportunity and you will see plenty of us off the stage around the convention. We’re planning some things that we hope will become tradition for the following champs to add to year after year. Watch this space for updates as we confirm details with your convention organisers. 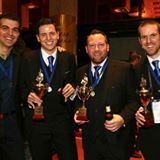 Now, having said all that, you will still see us on the contest stage when we will be singing one set for a qualifying score, in an attempt to get us to the BHS International in Vegas 2017. You may also see Mark and Ash in a mixed quartet together, because how could either of those two ever be in only one quartet…? We hope you all have a great time at the upcoming regional events, keep an eye on the judging panels for Ash (PRS) at Sunshine and Ali (SNG) at Eastern. Come say hi! “Silver Fox”? How did we get that name ? 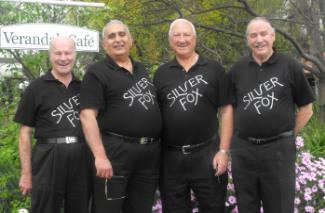 Well the little bit of hair we have left is silver and Barrie, our tenor, is as cunning as a fox. What a journey it’s been. We have been singing together since 1999 and as a quartet since 2006. In that time we have been invited and stayed at 35 country towns. During droughts we have been able to bring cheer to a large number of people. Some towns we have visited, 2-3 times and we’ve been to Junee 7 times for their “Rhythm & Rail Festival in March. The country people like us and we love them. We don’t charge, they put us up for a few nights (with our wives) and we entertain the whole town. We average 40 performances a year both in the city and the country. These include churches, shopping centres, hospitals, nursing homes, service clubs, schools, live theatre, local radio and television, Sky News at Darling Harbour, Correctional Centres, on trains, weddings and many other venues. Are we any good??. Maybe not by competition standards but we have a big fan base because we entertain our audiences. We are a package deal ...the quartet sings, Mal’s wife, Barb, is a story teller, and Mal recites his original poems. No matter how good you are people don’t really enjoy hearing ten barbershop songs in a row. They like variety; something in between songs. Now, here is a “Silver Fox” challenge……. Is there, in Australia, any quartet who’ve been performing continually for over ten years? Are there any quartets that are older? MP Phillip Costa & MP Tony Kelly. Our thoughts….. 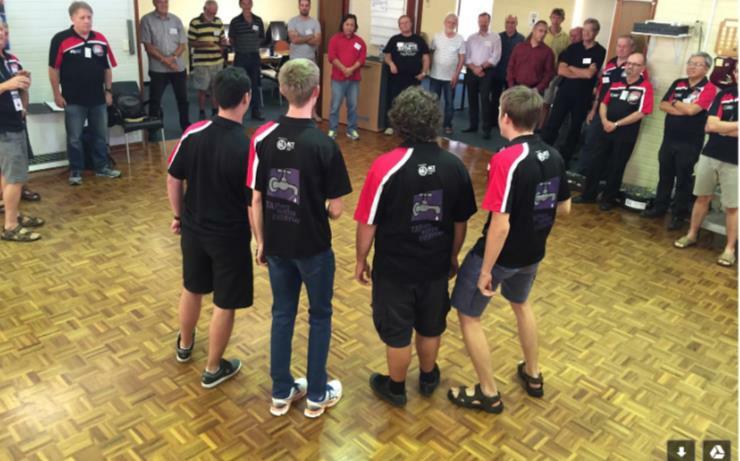 Sing for yourself, sing for your mates but more importantly….sing for the community. 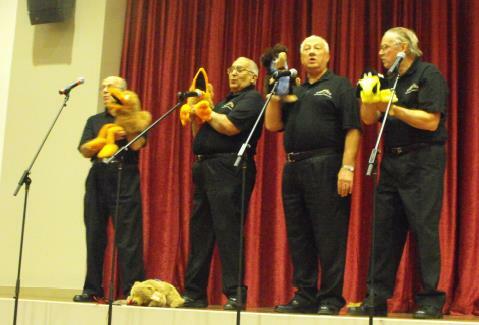 Barrie and David are still members of The Penrith City Harmony. Mal and Barb are members of Glenbrook Community choir and all of us our respective church choirs.